Welcome to Kirban Customs Inc. If you’re looking for high quality and personal service, you’ve come to the right place. At Kirban Customs Inc. we’ll give you the attention and personal service you’ll come to expect and enjoy. 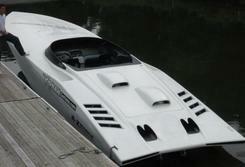 We offer the best in automotive & marine. 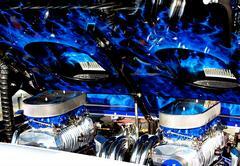 Darrell Kirban, owner, has earned a reputation for his attention to detail, creativity and innovative new designs. We are a small shop which allows us to keep a high standard of quality and personalization. Kirban Customs Inc. has been in business since 1988. Our shop is located in Kintnersville, Pa. Let us put our experience to work for you. Call 215-778-8273 or email kirbancustoms@gmail.com today to set up an appointment. Quality & craftsmanship you can't beat! Automotive - partial & complete restorations, body & paint work,frame work, metal work, fiberglass work, everyday accident insurance claims. We accept ALL insurances. 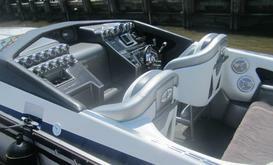 Boat / Marine - custom boat paint work,gel coat repair, graphics, dashes, interiors, upholstery, and fiberglass repair, insurance claims. We accept ALL insurances. 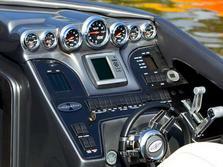 We have found a niche with updating the older, outdated powerboats with new modern custom dashes, gauges and interiors. Repair or build anything out of fiberglass. Our employees are friendly and will be there to help you every step along the way. We are committed to helping our customers achieve their dreams.